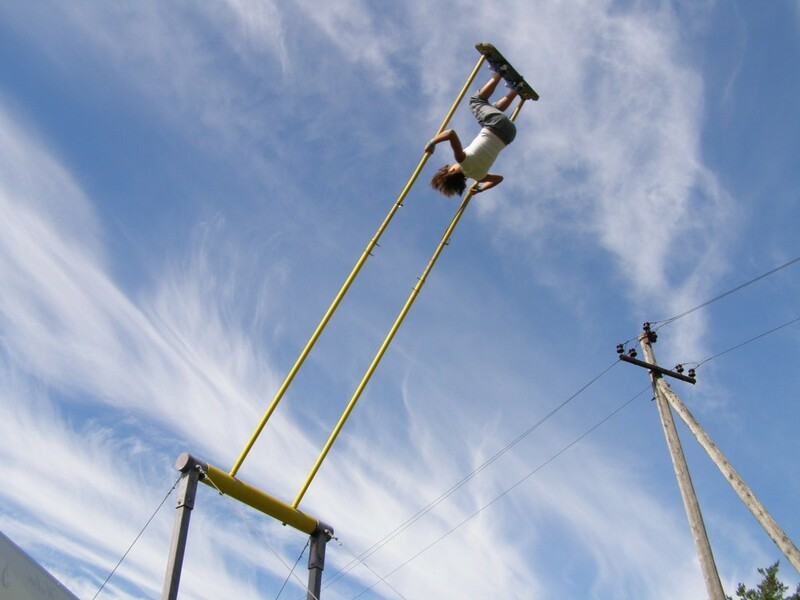 The extreme form of Estonian swinging has developed into a sport, called kiiking. Invented by Ado Kosk in the 1990s, kiiking derives from the Estonian language word kiik, which means “swing”. Swinging has been a part of the Estonian village culture for hundreds of years. It has entertained the young and the old and people have swung both together in groups and alone. Swinging grounds were also places where ancient Estonians met each other and it is one of the reasons why swinging is close to people’s hearts. Boys and men often competed against each other to impress their sweethearts. Swinging also helped people forget their worries, relax and to discuss their day. But the roots of extreme form of swinging – kiiking as we know it today – lie in 1993, when Kosk, originally from the resort town of Pärnu, built two swings. 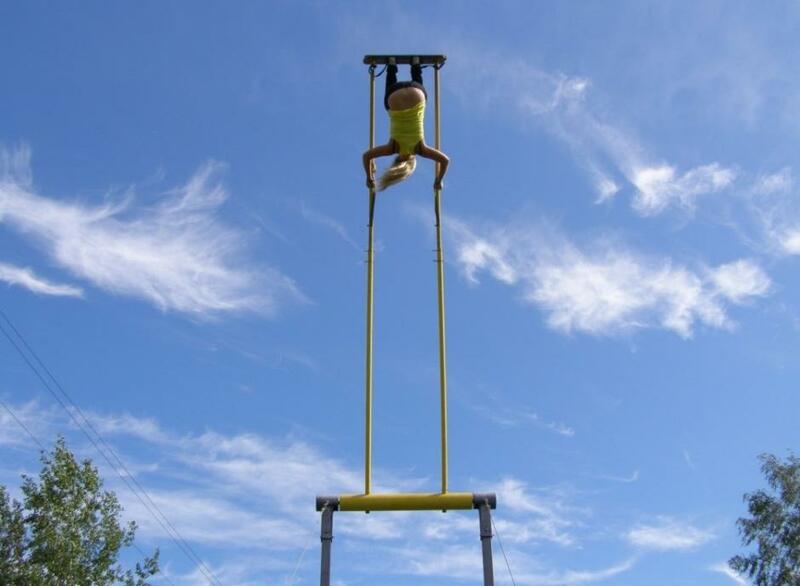 A regular swing does not allow passing over the top bar and its main purpose is leisure, but the inventor of kiiking used one of the swings to pass over the spindle for the first time and this inspired him to create kiiking. While regular swings can be made of different materials like wood, rope or metal, kiiking swings are strictly built of metal or modern composite materials. Kosk observed that it becomes more difficult to swing over the fulcrum as the arms of the swing become longer. He then designed and patented telescoping swing arms to gradually extend the arms for an increased challenge. 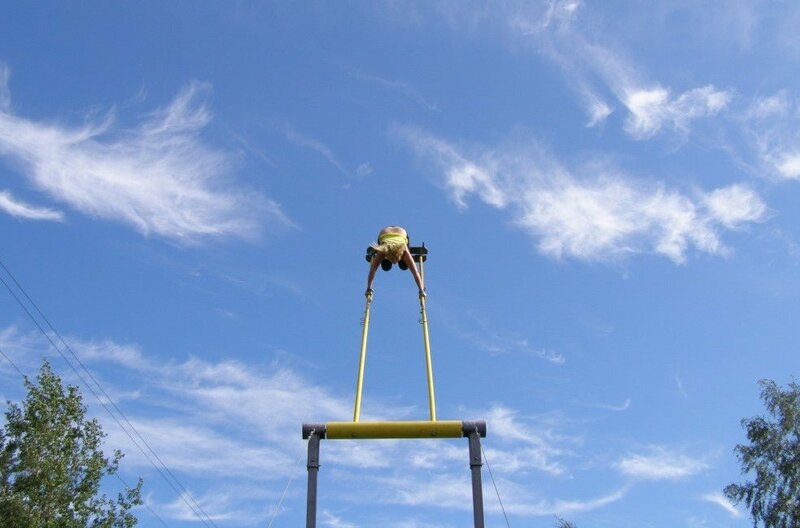 The person able to swing over the fulcrum with the longest swing arms is the winner. Currently, there are three kiiking swing models and the maximum shaft length of the tallest swing is eight metres. Unlike with a normal swing, in the kiiking version a person is fastened to the swing base by their feet. To swing, the person begins to pump by squatting and standing up on the swing. The swing will gain momentum and will, by skillful pumping, take a person over the fulcrum. Many kiiking world records have been set since – the first Guinness World Record of 7.01 metres in the men’s category was set in 2001. Currently, the Estonian records in kiiking are held by Kaspar Taimsoo (7.08 m) and Kätlin Kink (5.94 m).